Ever walked around an arts and crafts fair, admiring the items and wishing you could make your own? Well, with Klum House Workshop, you can! Founded by Ellie Lum, who also works at the company's Head Educator, Klum House Workshop is a sewing education brand based out of the beautiful city of Portland, Oregon. With passionate, patient instructors and a range of lessons and workshops running through the year, Klum House Workshop can teach you the skills you need to start making your own bags and accessories at home, and might even inspire you to create your own arts and crafts business on the side. Designed with both educational and entertaining aspects in mind, Klum House Workshop's range of at-home sewing kits and in-person lessons are made to help you learn incredible, useful bag-making skills and have a whole lot of fun at the same time. Read on to learn how Klum House Workshop can work for you. Throughout the year, various bag making workshops are organized at Klum House Workshop's Portland, Oregon headquarters. The themes and styles of these workshops can vary depending on the time of year. For example, there might be a Christmas design focus when the holidays roll around. You'll also find specialized workshops and classes taking place on a monthly basis focused on individual bag making skills, so it's a great idea to check out the full calendar on the official Klum House Workshop and see what's coming up. From there, you can reserve your spot at one of the workshops, with prices varying greatly, ensuring that there's a day to suit every budget. No matter which Klum House Workshop day or event you choose to attend, you'll be getting the same great levels of care and instruction that have made Klum House Workshop such a widely respected and beloved name in the bag making world. Past students have got nothing but good things to say about their time learning and working with Klum House Workshop. If a standard workshop isn't quite in-depth enough for you and you'd prefer a little more personal attention in a private setting, Klum House Workshop also offers private lessons for willing participants and eager learners. 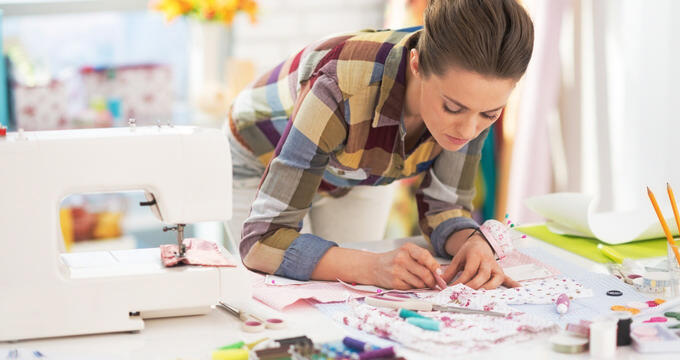 Whether you're looking to learn the basics of sewing or improve on your current bag making techniques, these lessons can help you reach your aspirations and bring your dreams to life. You'll get full personal attention from Klum House Workshop's incredible instructors and learn all the ins and outs of the bag making process from start to finish. With these lessons, you'll be a bag making expert, ready to open your own store in no time at all. One big problem that many people may face when wishing to sign up for some classes from Klum House Workshop is the fact that the business is situated in Portland, Oregon. If you happen to be far from Portland or can't make it out to the workshop for one reason or another, you don't need to worry! There are plenty of ways to learn awesome bag making skills with Klum House Workshop from the comfort of your own home. Online classes are scheduled and held regularly. These fun and easy classes can teach you everything you need to know about bag making, from simple sewing 101 classes to full bag construction. So you want to take your first steps into the world of industrial sewing and perhaps even organize your own sewing or bag making business? If so, Klum House Workshop can help. Heading out into the industrial side of the sewing world can be a very overwhelming and scary experience at first, but these classes and workshops, which can be enjoyed with groups or on a private, one to one basis, will go through all the details you need to know about industrial sewing, from breaking down the various machines that are most commonly used while also providing sound business advice from experts who really know what they're talking about.